Frank Sinatra, Director Stanley Donen and Gene Kelly rehearse on the set of On the Town (1949). 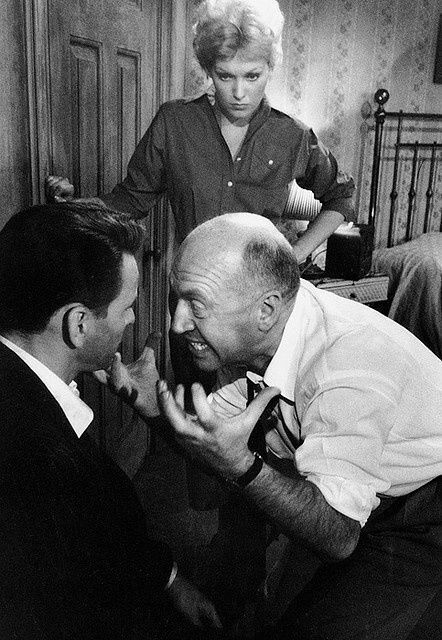 Director Otto Preminger demonstrates what he wants from Kim Novak and Frank Sinatra on the set of The Man with the Golden Arm (1955). 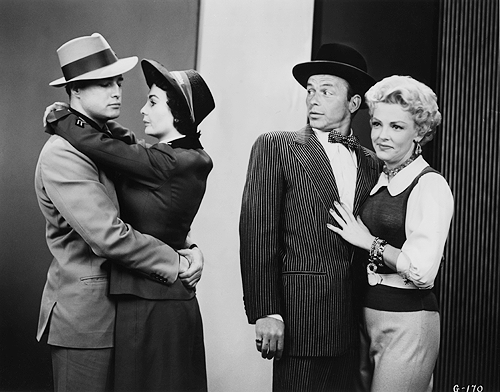 Promotional photos for Guys & Dolls (1955)! 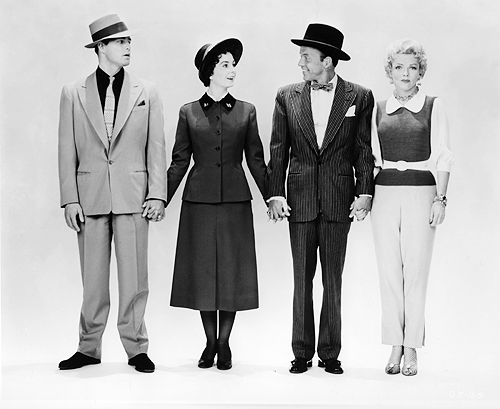 Promotional shots of Marlon Brando, Jean Simmons, Frank Sinatra, and Vivian Blaine for Guys and Dolls (1955)! Rock n’ Roll! Posted on February 18, 2014 February 13, 2014 Categories FebruaryTags 1955, Frank Sinatra, Guys and Dolls, Jean Simmons, marlon brando, promotional, Vivian BlaineLeave a comment on Promotional photos for Guys & Dolls (1955)! A lovely, colorful and neon-filled photo of Joseph Mankiewicz, mainly known for his work on All About Eve (1950), The Barefoot Contessa (1954) & Cleopatra (1963). 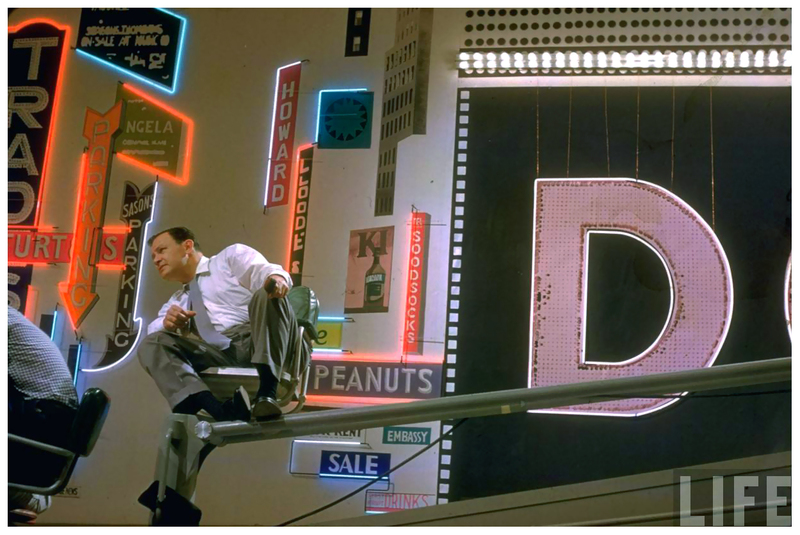 He is here on the set of his musical “Guys & Dolls” (1955), a lesser-known work of his. 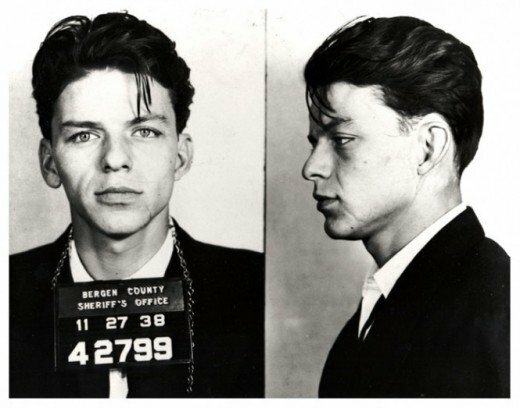 Although Sinatra wanted the lead role all to himself that eventually went to Marlon Brando, he also stars with Jean Simmons & Vivian Blaine. And yes, Brando actually sings in the film. All rights go to LIFE magazine, I am not the author of this image.